Today is the 3rd day of the most Armenian fruit 9th Golden Apricot Festival. It started with the apricots blessing ceremony. The event is still blooming near Cinema Moscow, while we would like to bring you into the significance of the delicious fruit! Apricot is a symbolic and national fruit for Armenians. There are numerous songs devoted to this fruit. 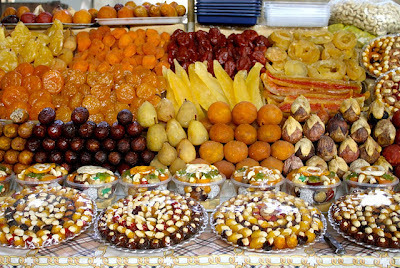 It’s amazingly delicious and sweet especially when grown in Armenia. Even its name in Latin is “prunus armeniaca”. 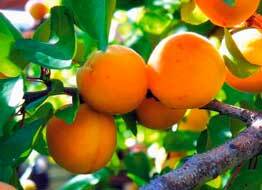 Our ancestors used to say that eating Armenian apricot you can get rid of twelve diseases. The apricot is full of beta-carotene, vitamins A & C, fiber and lycopene that are good for your heart, eyes, digestive system and prostate. 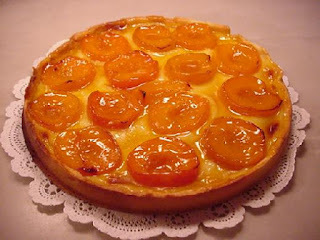 In general, the legend says that apricot is symbolized with longevity. Even from ancient times, the apricot of the Ararat Valley was known as the best in the world. The reputation of Armenian apricot made many foreigners to call Armenia as a “Land of Apricot”. According to excavations led by Armenian naturalist B. Arakelyan in Garni, there were found apricot stones dating back more than 6 thousand years. Armenians have numerous recipes for making different types of sweets, dry fruit, soups, jams, jellies, marmalades, juices, pies and compotes of apricot. As soon as apricot season starts Armenian landladies start buying apricot and making tasty desserts. In order to make the crust get a ready-one or use your known recipes for two-crust pie. Cook apricots in a pot filled with water for 15-20 minutes. Then add the butter and mix with blender. Combine cornstarch and water, then add to apricot mixture, and cook until it gets thickened. Add cinnamon. Before putting in dough, butter pan. Then brush the dough with egg white and then add the apricot. Bake for 30-45 minutes.